A veteran journalist says that is “mad” at Prime Minister Narendra Modi's failure in incorporating the name of Pakistan in the joint declaration of the just concluded Brics summit in Goa. Under normal circumstances one would not have taken the comment of this journalist (who also happens to be a habitual Modi-baiter) seriously, but one can't ignore the fact that the inability of the Brics leaders in naming Pakistan as a source of global terror in the “Goa declaration” is being perceived by many in India as not only a failure of Modi’s foreign policy but also as a strong signal of Russia moving away from India, and towards China. But then perceptions are not necessarily true. 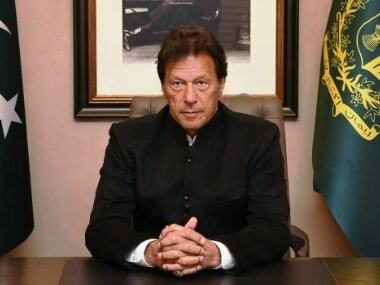 As a student of international relations, I have rarely come across joint declarations of a multilateral summit mentioning any non-participating country specifically unless that country (in this case Pakistan) is at war or under some grave natural calamity. Therefore, in my considered view the perception that Russia is moving closer to China deserves more attention. It is a fact that Russia-China relations, particularly in the security sphere, have been in an upswing over the last few years. The two have been conducting many “provocative” joint military drills, including those in the disputed South China Sea. Russian arms sales to China have increased phenomenally. However, this does not mean that Russia is contemplating to ignore India for the sake of China. On the other hand, Russia has been systematically trying to promote what is called a strategic triangle of Russia, India and China. Though former Russian Prime Minister Yevgeny Primakov was the first Russian leader to use the words “trilateral cooperation” among Russia, India and China, the concept has been spearheaded by President Vladimir Putin. The pattern was set during his first term as president when Putin held summit meetings with Indian and Chinese heads of government, in short intervals. The idea of Russia-India-China initiative was talked about on the eve of eve of Putin’s visit to India in October 2000. It followed Russia-China summit (between Putin and Chinese President Jiang Zemin) in July that year at Moscow. In 2002, the idea was again talked about during Putin’s visit to Delhi, which took place immediately after his trip to Beijing; in fact Putin had combined his China and India visits together and landed in Delhi straight from Beijing. It was at Putin’s behest that the first trilateral summit involving the three countries took place in St Petersburg in July 2006. 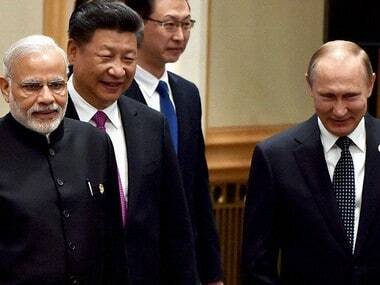 It was argued that Beijing and New Delhi accepted Russia's proposal to hold trilateral summit because "it was beneficial to boosting the cooperation among the three countries as well as maintaining multipolarity in the world". Of course, it is to be remembered that the St Petersburg meeting took place on the sidelines of the G-8 summit, which Russia had hosted for the first time and former India Prime Minister Manmohan Singh and Chinese president Hu Jintao had attended it as special invitees. 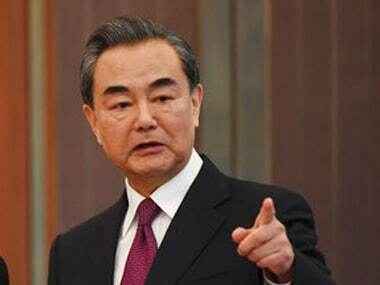 However, since then “Russia, India and China process" (RIC process) — that is how India “officially” describes the development — has also involved regular meetings of foreign ministers of the three countries, the last of which, incidentally the 14th in the series, was held in Moscow on April 18, 2016. The Moscow meet resolved that “Russia, India and China (RIC), as countries with important influence at international and regional levels and emerging market economies, need to further strengthen practical coordination on global and regional issues in the spirit of openness, solidarity, mutual understanding and trust. They (the foreign ministers) emphasised that cooperation between their countries is conducive to maintaining international and regional peace and stability, and promoting global economic growth and prosperity". In promoting the RIC process, Russia seems to have been guided by three developments. First, Russia's inability to impede the eastward expansion of NATO. Its frustration over NATO's unilateral military action in Kosovo forced Moscow to seek closer strategic understanding with China and India. Russia also found commonality with India and China in the perceived US bid for global hegemony, which was in direct conflict with their preference for a "multipolar world." The second reason from Russian point of view is that the three countries have problems with Islamic militants. 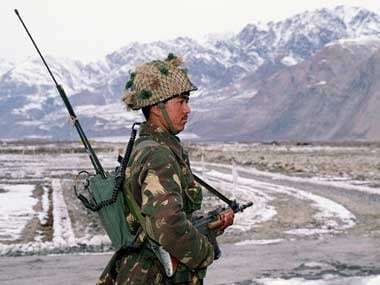 India fights border problems everyday against radical Islamic fighters infiltrating from Pakistan into Kashmir. Besides Pakistan, India sees Afghanistan as a breeding ground for Islamic militants, a view fully shared by Russia. Moscow is concerned about the growth of Islamic fundamentalism in the five Central Asian Republics of the former Soviet Union (which Russia still sees as its sphere of influence). China's problem with Islamic guerrillas focuses on the Muslim Uighar separatists in Xinjiang, an area of China rich in mineral resources. Beijing suspected that outside forces emanating from Afghanistan were feeding the disturbances, and Russian help on the border was needed to cut off that aid. Besides, as multi-ethnic states, Russia, China and India are concerned about the prospects of growing ethnic nationalism and Islamic fundamentalism in the region. The third common interest is the arms trade. China and India account for nearly 70 percent of Russia's arms exports. As it is, one of the important features of the Russian strategic and military blueprint is that Moscow will continue to assign the country’s military-industrial complex the responsibility of ensuring a considered presence in the world market of high technology Russian products and services. And, one of the goals of the military-industrial complex is to improve the system of intergovernmental cooperation in the military field. In this scheme of things, both India and China are extremely important, since both buy billions of dollars worth arms from Russia. But the problem is that at times both India and China demand the same weapon systems with the same features. Because of special circumstances, India has always enjoyed a special status as an importer of Russian arms. Russia sends weapons of more value and substance. These weapons are not only latest but also those which are not even commissioned into the Russian armed forces. Obviously, India will not like China to get the same features and facilities from the Russians. It is all the more so when there is a chance of some of those weapons finding their way to Pakistan. In that sense, by suggesting the concept of a Russia-China-India triangle, Moscow wants to appease the Indian sensitivities, with the hope that the idea will remove mutual suspicions between Delhi and Beijing. But will this Russian policy succeed? It is extremely doubtful that it will, and that, in turn, is the reason why one does not see great virtues in India showing enthusiasm about the “triangle”. From Indian point of view, for any triangular relationship, China has to vacate the countervailing strategic space in favour of Pakistan. 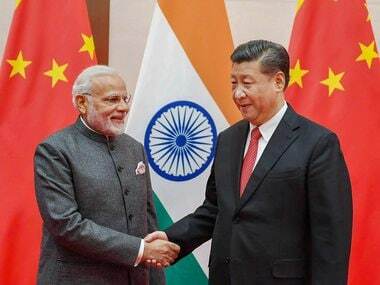 Since China is part of the strategic nexus with Pakistan aimed at India, how can India be part of a coalition in which two of its potential antagonists are inter-twined? Secondly, given the anti-American overtone of the “triangle” concept, India may find it difficult to be associated with it, particularly when over the last few years Indo-US relations have witnessed unprecedented improvements, the Pakistan-factor notwithstanding. In fact, even China will not like any ganging up against the US for similar reasons. All told, the Chinese economy is crucially dependent on the American market. Whatever the ideologically oriented pro-China experts may say, the fact remains that China is excessively dependent on the international market both for resources and revenue generation. Just imagine what will happen if the Americans, particularly American-Chinese, stop investing in China and the US refuses to open its markets for Chinese goods. Even otherwise, though Moscow advocates a durable and long-term framework of shared interests with India and China, unlike Indo-Russian relationship, the Sino-Russian link is controversial among influential Russian policymaking elites. Russia shares a long border with China and a long history of often bitter and complex relations. Besieged with a growing problem of demographic decline, many Russian analysts fear that Siberia and its far east would soon be over-run by migrant Chinese labour. This fear is genuine as anybody familiar with Chinese history will admit that Chinese territorial claims all over Asia often followed its emigrants. Likewise, the Russians are not comfortable with the growing Chinese activities in Central Asia, which Moscow always considers to be falling under its sphere of vital interests. Besides, it is also felt in Russian strategic circles that China, with ex-Soviet Union scientists and engineers working in its defence facilities, is producing weapons by reverse-engineering the Russian products and exporting them in the international market, particularly in Pakistan and North Korea. Viewed thus, the RIC process, though a grand idea, has its obvious limitations. The conditions under which it was initiated are not exactly the same now for its real blossoming. Therefore, strategic partnerships among Russia , China and India are likely to remain strictly bilateral, that is, Russia-India, Russia-China and India-China. And when one comes to bilateral relations between India and Russia, the potentials are immense, to speak the least.